Ooohh it’s “Instagramable”! Can I take a picture first? From restaurants to vacation spots, you can hear people saying this. And what’s funny, you need to halt for second before you could dive in to your food or hop to your reala activity coz you need to spare some time to take pictures. It became a serious thing not only for Millenials but for all ages. So what’s really behind it? There are ups and lows in owning a social media account. Everyone has their own take why they keep some or decide to shut them. For me its purely sharing my adventure whether I’m eating something worth lining for or letting the world know how it feels good to be a mom or just a daily stroll to my life. 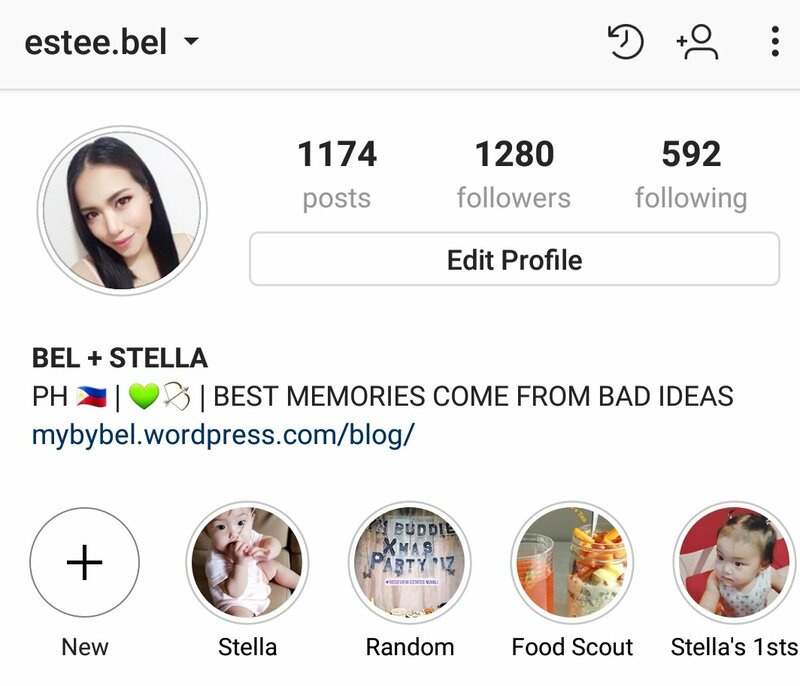 Just in case you’re wondering, I named my account estee.bel (estee = eSTElla/Star + BEL = me) because I decided to make it a joint account of me and Stella since its been a while people adores my posts about her. I actually want to make a separate account for her but she’s to young and if I do so, it would be exclusively for family and closest friends. I want to share to you guys that I’m taking my account with thought and perseverance to preserve memories as I can. It also feels good to make other people encouraged to try new stuff. Like when some people reacted positively when I lost my pregnancy weight and whatsoever. It’s such a good feeling that you somewhat could motivate other people with just a click even you’re miles away apart. But the catch is! Instagram can sometimes show fake lives. Some thought I am lucky to have what I have though I’m not saying I have everything but at least I could get more than what’s necessary. Of course I wouldn’t post anything bad my life their coz its my personal life and I don’t wantto send negative vibes out there. I already deactivated my Facebook and Twitter account when I was pregnant but not Instagram. Am I addicted to it? Somewhat YES… Well, its so hard to let go coz I saved all of my good memories there since I was in unuversity and its such a pleasure to scroll back to memory lane especially when I’m feeling down. It gives me smiles! Also, my closest friends are more active there as well. Facebook seems so crowded for me and its so much out there that I cannot limit. Even if I want to make a new account and start fresh, I felt bad for the stuff I already put there when I first started that’s why i just decided to unfriend some (sorry if you’re one of them, I just want to share most of my very personal life to my family and closest friends.) I actually barely use it now, I just use it to post pictures so that my relative could see my baby. That’s it. So I’m not that crazy with the trending news out there unless I see it on my IG followers. Let’s admit, its more satistying looking at feeds with a theme and interconnected.